For so long in the history of the Muslim civilization, we have witnessed various instances of violence and conflicts between Sunnis and Shiites. While most of them are political rather than theological in nature, the series of conflicts are often articulated in religious terms. The great political battle of Muawiyya and Ali has often been portrayed as the genesis of this division, and act as an exemplar on how politics can give birth to a more complicated theological set of doctrines and justifications. But unfortunately, the community has been treated as second class citizens, and often come under increasing scrutiny by religious authorities. For example, a ban on Shia Islam is still currently enforced in 11 out of 14 states in Malaysia, originating from a fatwa that was released in 1996, by the Fatwa Committee of the National Council for Islamic Affairs. Globally the trend seems to continue, and each sect often being repressed and persecuted by the majority sect in the country. We witnessed in the last few years, Shiites have been subjected to violence in Bahrain, Pakistan, Indonesia and Egypt, while the Sunnis in Iraq have been the target of Shiites militia during the presidency of Nouri al-Maliki. Set against this background, this forum will try to examine the phenomena; and try to answer several questions: Are these conflicts largely theological by nature, or mostly political? What are the causes of this hatred? And are there any episodes in Islamic history where all sects in Islam can co-exist peacefully? 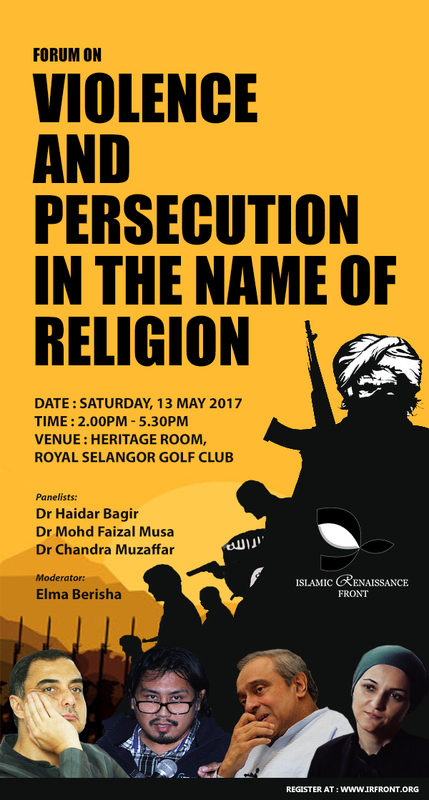 Will the minority sects; Shi’a, Bahai, Ahmadiyyah, and others, ever be part of the Muslim ummah in Malaysia? Dr Haidar Bagir was born in Solo (Surakarta) on February 20, 1957. He got his undergraduate degree from the Department of Industrial Engineering, Institut Teknologi Bandung (Bandung Institute of Technology). He finished his course works at the Graduate Program of the State Institute of Islamic Thought, Jakarta, but received his master’s degree from the Center for Middle Eastern Studies at Harvard University, and his PhD degree from the Department of Humanities, Universitas Indonesia (with one year research in the Department of History and Philosophy of Science at Indiana University, Bloomington). He has been the president director of Mizan Group, which he founded in 1982. Mizan is ranked among the biggest publishing houses in Indonesia. It has also won several awards for its movie productions such as Laskar Pelangi, Garuda di Dadaku, 3 Hati 2 Dunia 1 Cinta. Dr. Mohd Faizal Musa (Faisal Tehrani) is Research Fellow at Institute of the Malay World and Civilization (ATMA), National University of Malaysia (UKM). His current research areas are in adopting a human rights approach concerning religious minorities with specific reference to Shia and Ahmadiyya adherents, and Human Rights in Malay Literature. He also maintains his weekly column at malaysiakini.com/bm. Dr. Mohd Faizal Musa is also a well-known novelist in Malaysia with two, among his celebrated works of 23 novels are, Sebongkah Batu di Kuala Berang (2011) and Perempuan Nan Bercinta (2012). 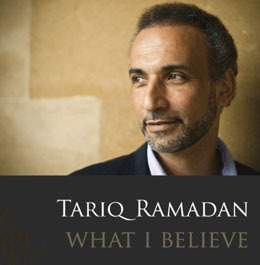 His key publications are The Malaysian Shi‘a: A Preliminary Study of Their History, Oppression, and Denied Rights (2013, Journal of Shi‘a Islamic Studies), and The Axiology of Pilgrimage: The Malaysian Shi’ites Ziyarat to Iran and Iraq (2013, International Journal of Philosophy of Culture and Axiology ). His recently published book is Wacana Sastera Islam di Malaysia dan Indonesia (2012, Penerbit UPM). He graduated in 1998 with a Bachelor of Sharia (Islamic Studies), University of Malaya; received his MA in Comparative Literature from University Science of Malaysia, in 2000 and a PhD. in Comparative Literature from Institute of the Malay World and Civilization (ATMA), National University of Malaysia (UKM) in 2010. Dr. Chandra Muzaffar is both a social activist and an academic. He is the President of the International Movement for a Just World (JUST), an international NGO based in Malaysia, which seeks to critique global injustice and to develop an alternative vision of a just and compassionate civilization guided by universal spiritual and moral values. He has published extensively on civilizational dialogue, international politics, religion, human rights and Malaysian society.